VAVi’s “Ridiculous Obstacle Course” is back, and it’s dirtier than ever. 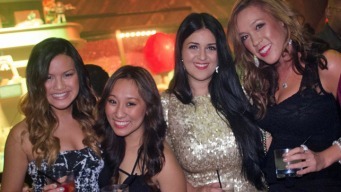 San Diego's premiere social club VAVi celebrated New Year's Eve at the Catamaran Hotel in Pacific Beach. VAVi's Latane Meade talks about the 7th annual celebration with NBC 7 San Diego. The idea is about extreme obstacles and having fun like climbing through tires, hanging on the ropes, and sludging through the mud run. VAVi Sport & Social Club brings together adults who want to have fun through a variety of social events, vacations, volunteer opportunities, and adult sports leagues in San Diego. VAVI celebrated 2012 with an epic party at Catamaran in Pacific Beach. 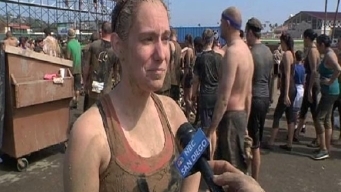 One of the participants in this year's Del Mar Mud Run talks about her favorite and least favorite parts of the course. One of the tougher challenges at VAVi's ROC Race on May 21 - the fire hose challenge. 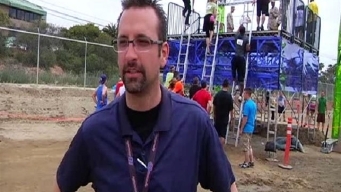 We hear from the man behind the design - the one who created the nearly impossible physical challenges in this year's VAVi ROC Race. Some good news you may have missed this week includes Selena, Xander and a dozen babies. A fight between a patron and security guard at El Camino bar in Little Italy ended with a punch thrown and shots fired on the streets outside the business early Saturday, San Diego police confirmed.